The San Cristobal cigar brand was introduced in 2007 and has steadily grown in popularity, developing a loyal following of cigar lovers. 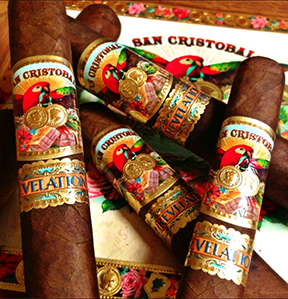 Revelation is the fourth cigar in San Cristobal's stable of premium cigars and is destined to be a true thoroughbred. Handcrafted with passion and precision by Jose "Pepin" Garcia in Esteli, Nicaragua, Revelation features a beautiful chocolate brown Ecuador Sumatra wrapper with a rich, vibrant blend of aged Nicaraguan tobaccos. Medium- to full-bodied, these cigars offer a rich, earthy flavor enhanced by notes of leather, cedar, nuts, and spice.